Long-time Upper West Siders may recall a time when Nobel-prize winning author Isaac Bashevis Singer was a neighbor. Singer lived for many years at Broadway and 86th Street and his affection for, and frequent visits to, the Dairy Restaurant on West 72nd Street was noted in the New York Times. Known for his prolific output, Mr. Singer, who is often identified as a writer of Yiddish fiction, depended upon translators to make his writing accessible to an English-speaking audience. Mr. Singer’s relationship with these translators is the subject of a film that will be screened tomorrow for the first time in the U.S., at the opening of the New York Jewish Film Festival. The film festival, now in its 24th year, which is presented by the Film Society of Lincoln Center and the Jewish Museum, runs through January 29, and will showcase 47 features and shorts from 11 countries. A number of “beyond the screen” programs are also scheduled, including panel discussions and a master class in filmmaking. A full schedule for the festival is available here. 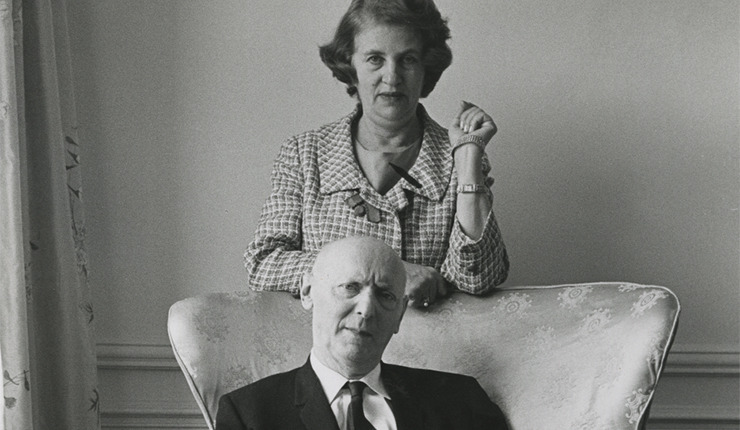 Those interested in learning more about Isaac Bashevis Singer and his writing may enjoy this interview that appeared in The Paris Review in 1968. Thanks for sharing the news about this interesting festival…and who doesn’t love I.B. Singer? It sounds wonderful.